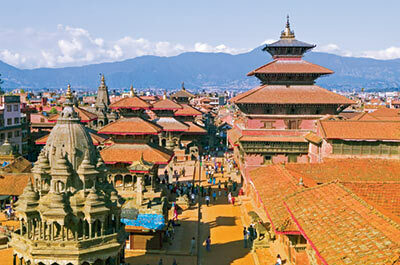 India & Nepal | India Vacations | India Vacation | Tours Of India | India Tour | Gate 1 Travel - More of the World For Less! 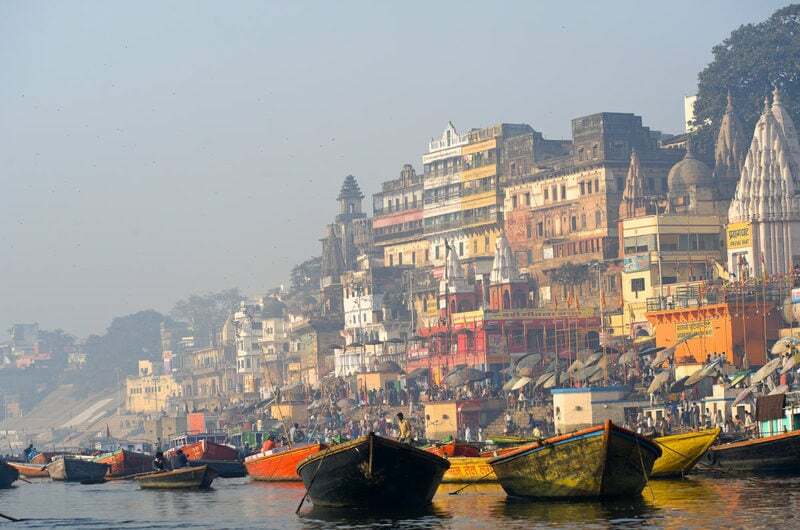 Watch Our India & Nepal Video! It was absolutely fantastic. The colors and the culture were amazing. Banhu was an outstanding tour manager. He kept everything informational and entertaining. I learned a lot about Hinduism, Buddhism, and the Indian/Nepal customs and way of life. Looking forward to my next trip to Kenya in July! Our trip to India and Nepal was fantastic. The 9 days were packed with beautiful and interesting places and experiences. Our tour director, Devendar, took great care while imparting his knowledge of the history, culture and people in India and Nepal, while Suresh told us all about the places and people in Kathmandu. We did the optional Everest flight which was very beautiful and exciting. This was our 3rd Gate 1 tour, hopefully not our last. Our trip was fantastic.The hotels, the program, the food, the security, the bus, the driver and the assistant were all excellent. However, the most amazing of all was our guide, Aparna. Unbelievable knowledge, passions and organizing skills. She made our trip unforgettable. Gate 1 did it again This was our third time with Gate 1 and all were great trips We are looking forward to the fourth in Ireland this summer. Fantastic! We loved our fellow travelers, loved the trip, and our tour manager Mansi was the best. Looking forward to our next Gate 1 trip! India was AMAZING!!! Absolutely loved it. Our guide Kapil was fantastic and had us all laughing all the time. Yet again, Gate 1 has been a really great company to travel with. We had a great time. Gate 1 looked after us magnificently and our guide Jimmy was so informative, funny and ever so obliging. I would definitely travel with Gate 1 again. Both trips were excellent. Our guide in India and Thailand were superb. I have no complaints about either trips. The itinerary was good, the hotels were excellent, the bus was clean, the driver kept us safe and the bus boy was really good. During the trip, we were looked after really well. We will definitely be booking with your company again. I really enjoyed this trip. It is the trip that has taken me the furthest out of my comfort zone and to the most exotic place I have been to date. I didn't know what to expect ... I loved the trip. The Indian people always returned my smile and they seemed happy. I enjoyed myself and came away with the impression of a beautiful country filled with history and natural beauty. I give a lot of the credit to our guide, Shalendra, for helping us on the tour understand the culture and way of life. This man was extremely knowledgeable about the places we visited. He came from the region we were visiting and his love for his province and people came through again and again. He also spoke with us on the tour about their way of living, politics and helped us understand that the western ideas are very different than the Indian perspective. I cannot say enough good things about Shalendra and give him full credit for making our trip so enjoyable. I feel I truly saw India with all its' flaws and beauty ... This trip really gave me a feel for the country without asking me to give up my western comforts. The hotels were spectacular, the itinerary kept us moving ... It really allowed me to see India in its natural state. I am thrilled with my trip... I cannot say enough good things about this trip. I will certainly travel with Gate 1 again, particularly to these exotic places as I always felt safe with our guide. 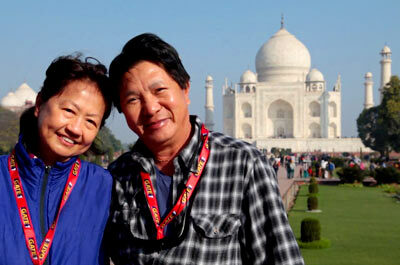 My husband and I had a wonderful trip, due in large part to our guide, Kapil. He had an extensive knowledge of the history of India and ensured that we were well received in all of our stops. The hotels were all of a high quality as were the buses used to transport us. He endeavoured to make our trip memorable, especially as it was the time of the Diwali Festival. He included us in some of the local celebrations. He was an excellent advertisement for Gate 1 Travel. Our trip was wonderful. Our small group of 19 people was perfect. I have never been on a trip where everyone got along so well, nobody wanted to leave. This was due mostly to our guide Jimmy. He had to be the best guide I have ever encountered in my 40 years of traveling . His two assistants were as good also. They made our trip memorable, exciting and so much fun. We will surely recommend this trip to others. Also we will be using Gate 1 again. Simply wonderful. Nepal is bustling with activity, with smells, with life! 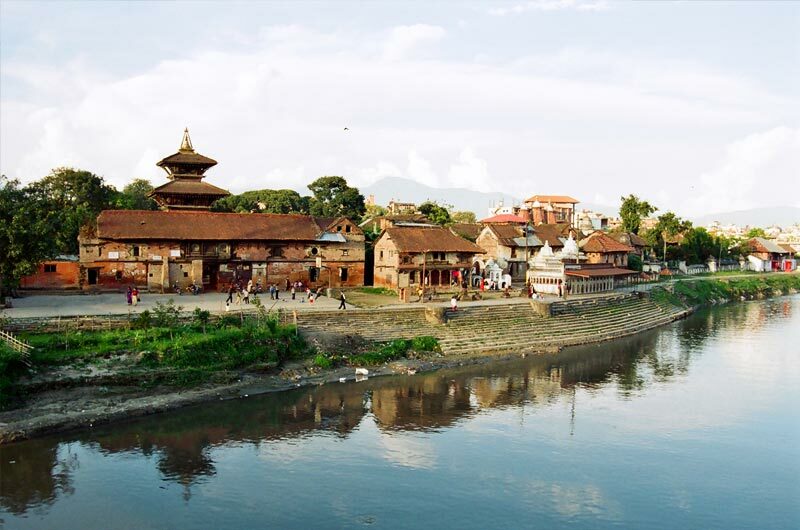 Most enjoyable were the walkabouts through Bhaktapur, and Tharu village in Chitwan National Park which allowed us to chat with the locals and have a closeup look at the way they live. The dinner, home visits and the conversations about life in Nepal were priceless. Bhutan is more than amazing! 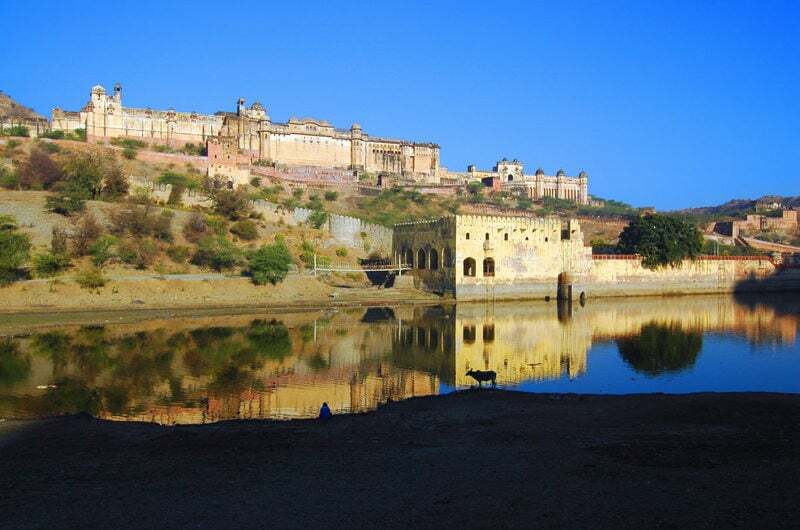 It’s pristine environment and culturally rich history is fascinating. I loved the dress-up in traditional Bhutanese dres. The hike to Tiger’s Nest, is wonderfully rewarding ... At first sight, Tiger’s Nest was blanketed with clouds, but as the clouds lifted it was breathtaking and hastened our steps. Thanks to our guides Rajesh (Nepal), and Dawa (Bhutan) and our drivers who did a stellar job in ensuring everything went smoothly! I have traveled on small group tours quite often, but this surpassed all expectations. Our guide in India was outstanding and the group I traveled with have all said they would travel again with her. I will certainly be booking through Gate 1 again. My friend and I enjoyed our trip to India and Nepal with Gate 1. This was due primarily to our tour guide “Viney." Gate 1 has an excellent representative. I am also a tour guide (in Arizona) and have worked with many other guides. Viney is one of the very best ... He was very knowledgeable and shared India’s history and culture with us - just what I wanted to learn on this trip. It was due to this experience that I will be planning another Gate 1 adventure in the near future. It was an amazing experience for both India and Nepal. Our guide Kapil was a delight, he was a wealth of information, humorous and attentive to everyone. I would definitely travel with Gate 1 again. It was wonderful!!! The sites were beautiful, the guides were knowledgeable and the hotels were great!! My daughters and I really enjoyed the trip!! Our trip to India was fantastic ! I'm more than happy with Gate1 and with your organized trips. India is our 3rd trip with Gate1 and I don't have one single thing to complained ... I personally would not be able to organize my own time better. Gate1 vision of traveling and seeing world is fantastic for people who likes to travel . Your tour guides makes trips really enjoyable and memorable . We arrived back to Canada and India was way more then just amazing trip. Our trip to India was incredible! Our tour guide, Jimmy, was attentive, helpful, personable, reliable, and approachable. His assistant and bus driver were also very helpful throughout the trip. 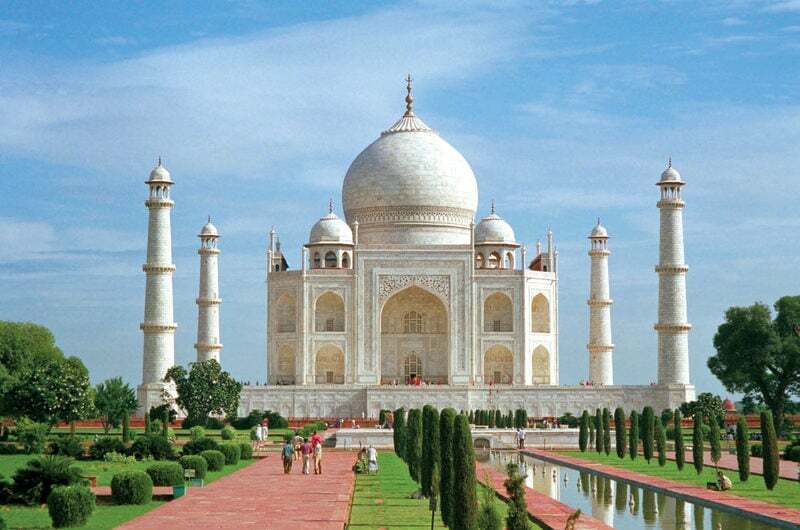 I didn't know much about India and booked the trip because my friends found a great package. I was a little nervous since the culture is very different; however, all my doubts were gone once we arrived and met the Gate 1 team and our group. Everything exceeded my expectations and I wish we had more time in India. I will most likely book anther trip with Gate 1 in the future. Thanks again for an unforgettable trip. Hi there, The India trip was so amazing, everything ran smoothly, I was impressed with how organized and detailed every aspect was. Jimmy, our tour guide did a fantastic job! Our trip was everything we hoped for and more! Our tour guide Seema Singh was delightful and very organized. She was extremely knowledgeable about history and current events. She kept us on schedule and added other things such as an Indian wedding, which was delightful! She also gave great suggestions for things to do on our free time. I would suggest everyone sign up for the optional tours as they were all an added bonus to the trip. The motor coach in India was so nice, as was the driver and assistance. The food was so good, only too much of it! I loved trying all the new items...As for the hotels The Trident chain was so nice! We felt very cared for by the staff and the beauty and cleanliness of the hotels were so welcome after our long days. Our guide in Nepal Sanjay Nepal was great also. He has a great sense of humor, knowledge of his country and was flexible in his schedule which we had to be to see Mt Everest...We have traveled with Gate 1 before and will do so again. I tell everyone "Call Gate 1!" It was wonderful. Gate 1 always does a great job. I especially loved the hotels and the ideal locations! Mandu, the tour guide was EXCEPTIONAL!! He was very helpful, caring and informative. Highlights of my trip were Seema the guide, she was excellent. The bus was comfortable and the hotels (most of them were 5 star in my book. Plenty of opportunities for meals and all travelers were well taken care of. BUT the best of all was all the wonderful sites, history, culture, religions and philosophies. It was an education bar none. I definitely got my monies worth and more. The trip was amazing! What a wonderful and unique experience. We were awash in an explosion of cultural sights, sounds, emotions, and immersions...What made the trip especially memorable was all the people to people interaction. From riding on a rickshaw through the streets of Delhi, to visiting a local village in Nepal, to having dinner with a Tibetan refugee family, to interacting with children at a local school in Chitawan. That's what's so great about discovery tours: small groups and lots of interaction with people! Trip was amazing! Our guide, Neelam, was fantastic. Hotels and food were great. Everything went smoothly and seemed well organized. I'm going to look at Gate 1 first the next time I'm ready for another vacation! Trip was excellent, loved India, great guide and incredible bus driver! Gate1 does a really good job and I will definitely go on more of your tours! 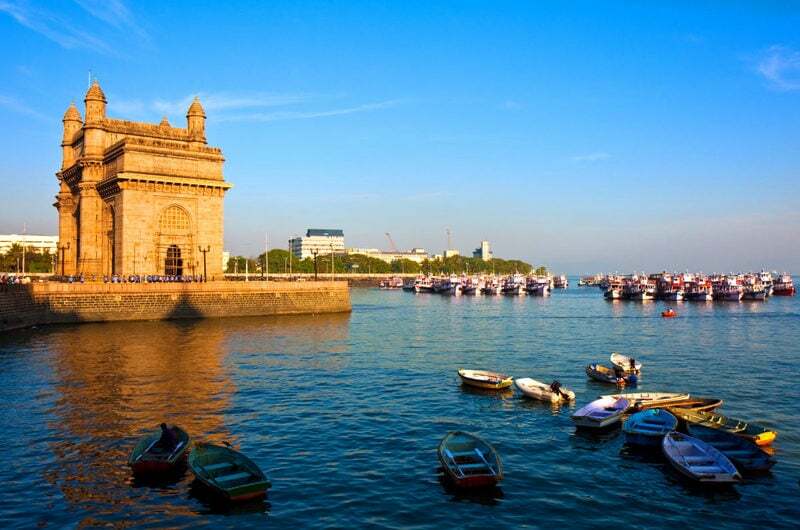 Really enjoyed my 13 day India tour...Everything exceeded my expectations- hotels and coach transport were top notch and the historic buildings around the Golden Triangle and in Mumbai were wonderful. But the highlight for me (even slightly better than the Taj Mahal) was seeing a tiger up close in Ranthambore. I'm very impressed with Gate 1 tours and am considering another holiday with them. We had a wonderful trip to Sri Lanka, everything went smoothly. Stayed in superb hotels, food was really good, and really appreciated the food and beverage package. Nipuna the tour manager along with Ravi the bus driver were first class. Would like to have stayed in Nuwara Eilya an extra day. Gate 1 Travel is the best.....our second trip with you and hopefully not the last. 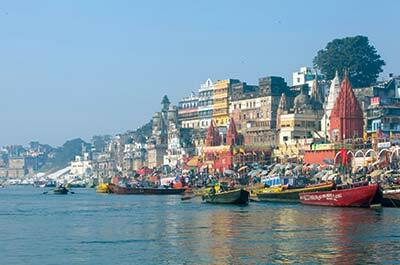 We had a great time on your trip into India and will be looking for more of your interesting trips in the future. Thanks again to your Guide, Driver and his assistant for making it a very memorable trip for us. Our trip was a great success. Our guide Jay was very good, very passionate and knowledgeable about the subjects and good fun too. The hotels were all good and I enjoyed the restaurants we were taken to...I greatly enjoyed seeing the traditional dancers, seeing how bronzes are made, the silk weavers and much more...I would certainly not hesitate to travel with Gate 1 again. Thoroughly enjoyed my trip to India. Have nothing but praise for Gate 1 travel from my first communication with you here in Sydney and for all who made my travels enjoyable. The organisation was exceptional with no worries for me. My tour leader, Sony Singh, was very impressive, efficient, and approachable. Another Gate1 trip should be on the horizon. Our trip was fabulous! We are so pleased with Gate 1 and are looking forward to another adventure with Gate 1. Our guide in India was just terrific. We feel lucky to have gotten Manish Nagar for our trip. We are recommending Gate 1 to family and friends who are interested in travel. We had a wonderful time. I did a lot of research before we left on the historical aspects of the areas in India and Nepal which we were going to visit. And as always, it was more beautiful in person. Our guide Kapil was just the right blend for our group. Knowledgeable with a good sense of humor. Keeping a group that large happy, interested, and moving in the right direction must be a challenge. And he did it with seemingly no effort. My trip was fantastic!. The tour director in India did and exceptional job. I learned a lot from her not only about the history the culture at the religion of India but also know developments in the country. She did an excellent job of managing the entire tour and made it a very memorable experience. Her knowledge was incredibly impressive. Anil The tour director in Nepal Did an outstanding job. Incredibly knowledgeable and exceeded any expectations I had. I had such a great time that when I return home I started to look at other Gate 1 tours. The India vacation was excellent. My wife and I had a wonderful time and it was all due to the professionalism of the tour guide Seerdar and his staff. He was very knowledgeable, looks out for the safety of his group. It was amazing how the driver could maneuver his large bus through those narrow streets. Thank you and your team for making our vacation worthwhile. Kudos to Gate1!!!! This was one of the best trips ever with gate1. Denver was a super guide with lots of knowledge and little extras that made it special. Fabulous animal sightings and great excursions. It is the most wonderful trip we had. Our guide jairaj is the best. The itinerary is very good. What a surprise to find south India so interesting. The resort hotels were awesome. My friends all ask why south India? What is there to see? Now after all our photos and stories, they are lining up to come and experience. I would be interested in other parts of India is it is proven as good. Awesome. My trip was awesome. And it was a spiritual journey. India is the most fascinating country on Earth. For the first time in my life I was not ready to go home. This was my third visit to India with Gate1 and I am already thinking about a fourth. Our guide, Sridar was amazing. His patience and diplomacy with our group is worthy of a raise! I can't thank you enough for the opportunity to be a part of this wonderful adventure. Our trip to India and Nepal met every expectation. I appreciated the diversity of experiences and the range of backgrounds and experiences of our fellow-travelers. The pace was just right...Our tour guide, Viney, was sensitive to the group's needs and provided the logistical and interpretive support we needed. Toward the end of the trip we fit in more cultural exposures with a bit less attention to temples and monuments, which was most welcome. This was our fifth trip with Gate 1 and I suspect it won't be our last.